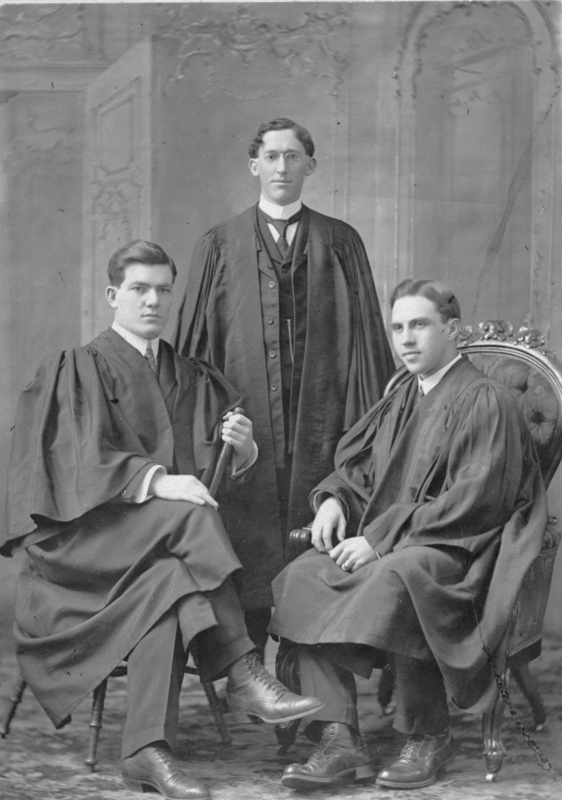 Item is a photograph of the 1910 Dalhousie Debating Team. 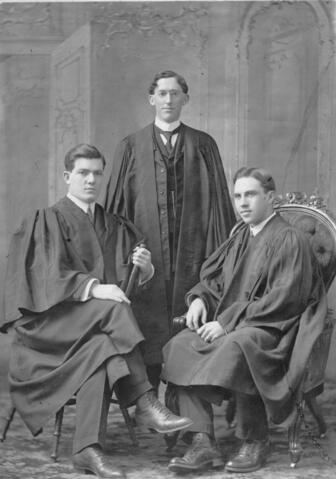 The photograph shows J. P. MacIntosh, J.C. McLennan, and J. D. Vair. Photograph is mounted on a matboard. Matboard is worn around the edges and has some marks on it.